Colonial Craft Kitchens strives to create environments that are appealing to the eye and function well for your needs. As a custom cabinet manufacturer, we are able to translate the creativity of our “outside the box” design into an all-wood product of the highest quality. From design to construction and installation, every detail is meticulously handled. The end result is custom created cabinetry that you will enjoy for decades to come. Colonial Craft Kitchens adheres to the highest quality standards. We manufacture custom cabinetry to your project specifications, built from the finest quality wood. From unique freestanding pieces and elegant built-in cabinetry to intricate carvings and moulding details, Colonial Craft Kitchens’ “outside the box” design comes to life at our manufacturing facility. There are two types of cabinet construction to consider when choosing styles for your cabinets: Framed or European Frameless cabinetry. Both provide a multitude of design possibilities and each has their own unique advantages. Here are some things to consider as you decide which type of cabinet construction is best for you. American cabinet manufacturers have traditionally built cabinets using a frame construction. 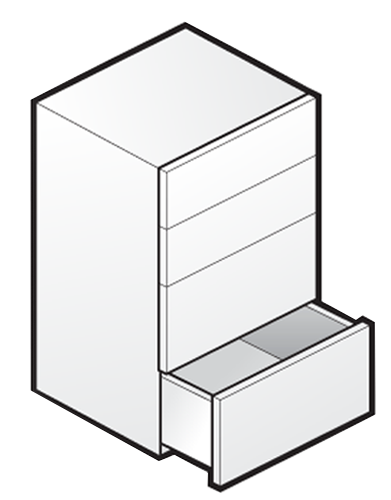 In this type of cabinet construction, the rails and stiles form a 1-1/2 inch face “frame” at the front of the cabinet box. This frame resembles a flat picture frame that is attached to the door front, giving added dimension to the door front. The cabinet doors are secured to the frame for strength and sturdiness. Frameless cabinet construction is a European way of manufacturing cabinets that has become popular among American homeowners seeking simple, more contemporary cabinet designs. Frameless cabinetry is sometimes called “full access” cabinetry because it offers greater accessibility by eliminating the face frame. Instead, it relies on thicker box construction for stability. 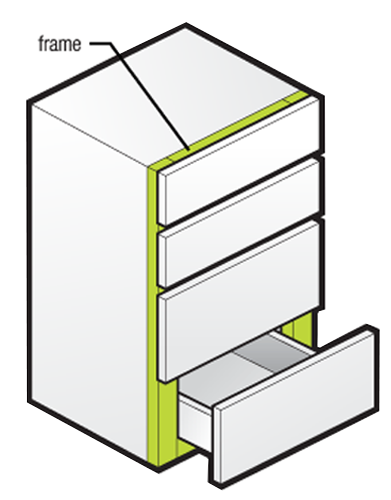 Only full-overlay doors can be used, with hinges attached directly to the sides of the cabinet box. Caring for your cabinetry is easy. We’ll show you how.